Being the text of the new year message of the President of the Nigeria Labour Congress, Comrade Ayuba Wabba, mni, on January 1, 2017. The outgone year was perhaps the toughest and most difficult for workers, pensioners, and the generality of the poor and working people of this country in almost three decades. The astronomical increase in the pump price of Petroleum Products, the massive and continuing devaluation of the Naira, the rise in inflation, and the 43% increase in electricity tariff in February 2016, all combined to make life difficult for the wage earners, and worse for the teeming millions of our people without any means of livelihood. In the last 12 months, the living standard of majority of Nigerians has taken a terrible beating as a result of the above. On behalf of the National Executive Council of the Nigeria Labour Congress, I therefore wish to warmly congratulate Nigerian workers and people for surviving these difficult times to see the New Year. The patience and patriotism of the workers in the face of the daunting challenges of the preceding year are commendable. The economy went into full recession in the course of the year, with the 4.3% GDP growth projection for the year turning into negative growth from about the 2nd quarter of the year. At the beginning of 2016, the Naira was exchanging at N197 to $1; by the end of the year, it had depreciated to N495 to $1 in the so-called black market, with at least 9 or more other rates in between; in the name of flexibility introduced by the Central Bank of Nigeria. Under this regime, we have different rates of exchange for pilgrims, Customs, budget, Interbank, Fuel imports, Bureau de Change, Special funds Airlines, Western Union, Travelex etc. The projection and forecast for the economy in the New Year are equally not very optimistic. At the wider level of the polity, we however have seen the consolidation in the gains of the Nigerian armed Forces in the fight against the Boko Haram insurgency, and the reduction of the destructive activities of militants in the Niger Delta as a result of the combination of dialogue and the activities of our Armed Forces in the area. (a) Strike Against Fuel Price Increase. In May 2016, against the often stated position of President Buhari that he did not believe that petroleum Product Prices were being subsided in Nigeria, he eventually succumbed to the lobby of vested interests in the industry and others who wanted extra revenue from the price hike, and massively increased the pump price of fuel from N86 a litre to N145 a litre. Despite the challenges from within, we declared a national strike on the 18th May 2016. The strike lasted till 22nd May 2016, when the National Executive Council of Congress met and called it off following interventions by patriotic Nigerians and assurances by government there would be palliative measures to cushion the effects of the increase. However, in the last seven months since we ended the strike, government is yet to fulfill its promise of putting in place a palliative regime.The NNPC continues to do the bulk of the importation of Petroleum Products thereby putting pressure on our foreign exchange situation. Our infrastructure continue to be underfunded; in addition to the underfunding of education, health and other social welfare facilities. As with previous administrations, we have entered 2017 without the Federal Government having on the table a serious plan to turn around our dependency on importation to satisfy our Petroleum Products internal consumption needs. And yet we continue to be the only OPEC and Oil Producing Country that allows this type of situation. Everything we predicted would happen if oil price were increased are unfolding before our very eyes. Government needs to quickly address this challenge by creating an enabling environment for enhanced local refining to meet rising local needs. In the preceding year, we have tackled a number of state governments over non-payment of outstanding wages and pension of workers and pensioners. Among the states were IMO, OYO, OGUN, EKITI, KOGI and NASARAWA. In the case of Nasarawa, we lost two workers to trigger happy Nigerian Policemen, who murdered these workers in cold blood for protesting the unjust policy of the state government of paying half salaries to different cadres of Civil Servants in the state. In fairness to the Federal Government, President Buhari had made consistent efforts to bail out state governments to pay workers’ wages in the states as 27 of the 36 state were in default at the inception of the administration in May, 2015. In the New Year, with states earning more revenue from sales of crude oil, and more naira as a result of the massive devaluation of the naira, the NLC will continue its campaign to ensure that the incidence of non-payment of salaries as when due, is no longer a feature of our national life. The Nigeria Labour Congress welcomes the recent Federal government's decision to institute reward of up to 5% on recovered stolen funds to any successful whistle blower. This policy which was approved in December, by the Federal Executive Council, we understand is one of the recommendations of the Presidential Advisory Committee Against Corruption. We also understand via the briefing by the Hon. Minister of finance, Mrs. Kemi Adeosun, that a bill to support this policy is already before the National Assembly. We call on the National Assembly to give expedited hearing to the bill so that it could be signed into law by Mr. President in the first 3-6 months of the New Year. In the interim, we urge the government to give serious thought to our demand for the protection of whistle blowers at the Federal Medical Centre, Owerri and the Federal University of Agriculture, Abeokuta, who have been made to bear the brunt of the anger of the Chief Executives of these institutions. We also urge the government to do the needful by prevailing on the Medical Director of the Federal Medical Centre, Owerri to stop performing her statutory functions in compliance with extant Civil Service Rules until she is cleared of the corruption charges for which she is standing trial. It needs no stating that for the war on corruption to be sustainable, whistle blowers must be protected. 3.1 Non-confirmation of EFCC Acting Chairman by the Senate. A major setback to the current Anti-Corruption campaign of the Buhari administration has been the non-confirmation by the Senate of President Buhari nominee for the chairmanship of the EFCC. This was after he had acted in that position for one year. The circumstances leading to the non-confirmation leaves many questions unanswered. For instance, is it not common practice that before such a nomination goes to the Senate, that the Executive arm normally ensures that the nominee to such sensitive positions gets security clearance? This is of course without prejudice to the power of the National Assembly to ask for an independent report from any agency of government, if it deems it necessary in the course of it’s legislative and confirmative functions. As NLC, we are worried that the President was unable to get such a key appointment through Senate confirmation. This is despite the fact that the President’s party – the APC controls the Upper Chamber of the National Assembly. We are equally concerned that an inter-agency conflict or rivalry might have played a role in the events leading to the non-confirmation of the EFCC chairman designate. Since these agencies are all part of the Executive arm, Mr. President clearly must take responsibility and rein them in so that they work in concert to implement government’s cardinal programmes. The lesson from the non-confirmation of the EFCC chairman going forward is that the Executive arm must work with the Senate and its leadership to ensure that nominations into key and sensitive positions are treated speedily before they resume in the new positions. This is because as we can see with the EFCC case, they’re bound to step on toes of vested interests in the course of their assignment. The longer they stay without confirmation in acting capacities, the more this affects their chances of being confirmed. 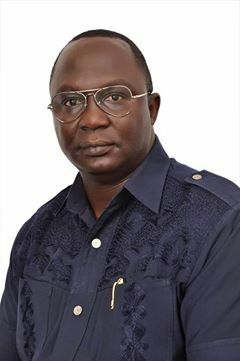 As NLC, as we have maintained right from the onset, we will continue to support the anti-corruption effort of the present administration, because of our belief that corruption is at the heart of our inability to develop to our full potentials as a nation – 56 year after political independent from Britain. We however urge the Federal government and all the anti-corruption agencies under it to act to avoid the perception gaining ground that only members of the opposition are targeted in the anti-corruption fight. Indeed a leading member of the opposition recently said that those defecting to APC are doing so to escape prosecution on corruption charges. In the New Year, we shall continue to work and collaborate with the President’s Advisory Committee Against Corruption to execute its mandate. We shall in the New Year also join the committee in campaigning for the establishment of a Special Court to try high profile corruption and other special crimes. It will be recalled that all chairmen of EFCC from Nuhu Ribadu to the current acting chairman, have canvased for this special court, in recognition of the frustrations they have encountered on the length of time litigations take in regular courts in the country. In the New Year, the crisis of monumental unemployment in the country will remain with us. The APC government at the centre had made clear promise in its manifesto of delivering 3 million jobs annually. After some 20 months in the saddle, it is perhaps time to ask the government to give a scorecard to the Nigerian people that went through a lot of odds to elect this government. How many jobs has the Federal Government and the 23 states controlled by the ruling party created in the course of the last 20 or so months, in furtherance of its pledge to Nigerians during the electioneering campaign. We had stated in our past May Day and New Year messages, as well as other policy pronouncements, that we have some ideas on how, we can create new and sustainable jobs. Unfortunately, no one in government has thought it necessary to give us a hearing on what these ideas are, and what they entail. Presently, we are not even sure which ministry or agency of the government is the focal point on job creation. What we have said of the ruling APC party, applies in large measures as well to the PDP and the States they control. We will in the New Year continue to knock on the doors of all organs of government and put on the agenda the massive unemployment situation the country is facing. Since we submitted a written request for a new National Minimum Wage of N52,000 per month last year, the purchasing power of Nigerian workers has so depreciated that it is pure miracle that individuals on the existing minimum wage of N18000 are able to make ends meet in 30 days. At the beginning of 2016, with the Naira at N197 to $1, the minimum wage was equivalent of $91.3. At N495 to $1 this has in twelve month depreciated to $36.3. The May 2016 huge increase in price of fuel from N86 a litre to N145 a litre, and the attendant inflationary pressures, should have trigged an automatic increase in the minimum wage. With the erosion in the living standard of workers occasioned by the free fall of Naira, and the rising cost of living, we insist that we will not allow ourselves to be made the sacrificial lamb of the recession. We will in the New Year redouble our efforts, using all available means at our disposal to get the Federal Government to constitute the tripartite panel to renegotiate a new minimum wage, which must be a living wage. The dismal performance of the energy sector has continued to underscore the dire state of the nation’s infrastructure. President Buhari in his inaugural speech on May 29, 2015, captured it succinctly that despite billions of dollars invested over the years in the sector, Nigerians have continued to have darkness rather than light. Three years after the rushed privatization of the sector, things have moved from bad to worse. From around the country, it has been complaints galore from consumers about crazy bills. Distribution companies (DISCOS) rather than investing to install meters in homes and offices, continue to extort money from Nigerians through estimated billing system. In March 2015, the CBN gave N213 Billion stabilization facility to the new private owners of the power sector. Less than two years afterwards, the government is planning to secure another N309 billion bond for the electricity sector, without visible improvements in their services. We urge government to muster the necessary political will to deal with the challenge of the power sector. Government should either reverse the opaque privatization of the sector hurriedly done by the last administration, or ensure that those who run the sector provide electricity on regular basis and at rates consumer can afford. In the New Year, we shall work with the relevant arms and agencies of government to checkmate and halt the practices of multinational corporations especially in the Telecommunication and Oil and Gas Sectors, who are adding to the economic crisis in the country by their new habit of out-scouring of jobs Nigerians do to new destinations in Asia – especially Dubai and India. Early in December, the Punch Newspaper reported that Ericsson Nigeria, the local subsidiary of the Global Telecommunication Solution Provider had disengaged virtually all its Nigerian staff in its Network Operating Centre and transferred its operation to India. Ericsson Nigeria had in the last few years managed the MTN Network from among its Nigerian staff. Now, in the name of off-shoring, Indian workers are being brought to understudy their Nigerian counterparts, and thereafter these jobs monitoring MTN and other Telecommunication Networks are then transferred to India. These have huge implications for our national security, in addition to the fact that jobs that Nigerians are competent in are being moved out of the country. As the unfolding cyber controversy between the USA and Russia is unfolding, with the network operating centres moved out of the country, we can be easily be shut out from the rest of the world without our being able to do anything about it. Our experience over Boko Haram and the SIM registration controversy with MTN clearly illustrates the inherent danger to Nigerian’s National security interest of the move by these multinationals. We also understand that HUAWEI, a telecommunication giant responsible for managing about 75% of network operating centres responsible for managing Etisalat, Airtel, part of GLO and part of MTN Network operating centres has also commenced the knowledge transfer from Nigerian engineers to their Indian counterparts preparatory to also moving their operations to India. We will work with the relevant committees of the National Assembly, ministries and agencies to protect our national interest, by leading national campaigns against these practices in the Telecom and Oil and Gas sectors in the New Year. These Multinationals must be made to understand that they will not be allowed uninhibited access to making millions of dollars off Nigeria as a nation without contributing to creating jobs. There must be costs to every multinational decision to take the livelihood of Nigerian workers to other shores, and we need the understanding, support and cooperation of government and its agencies in this fight to keep these jobs in the country. One question that our veterans and other friends of labour keep asking those of us in the leadership is how is it possible that workers in many states have gone without salaries for several months, and the Industrial Unions and the State Councils of Congress have maintained relative quiet on this crucial component of our mandate. As we have outlined in an earlier segment of this address, since we assumed leadership of Congress, and especially in the last 12 months, we have strived to take the battle to a number of the states that had misplaced their priorities and had a backlog of workers’ salaries and pensions unpaid. What we cannot however deny or shy away from is that, like the rest of Society, there is a lot that we as trade unions - as leaders, organisers, educators, mobilisers etc, need to change, in order to meet the aspirations of the workers on whose mandate we have the privilege to lead. It was in recognition that all wasn’t well within our movement, that we christened our programme on the basis on which we presented ourselves to Nigerian workers for leadership in 2015, “A Return to our founding principles Redemption 2015: A manifesto”. In furtherance of our promise to return the NLC to its founding principles as a fighting organisation that champions the interest of its members and the Nigerian masses, we organised an elaborate retreat for the new leadership and the leadership of Industrial Unions, to which we invited all our key veterans, former unionists in the National Assembly, and our Civil Society allies, in Tinapa, Calabar in late 2015. The report of that retreat which contained a frank assessment of our movement and roadmap to recovery, will be distributed to all our organs and affiliates in the New Year. We held a follow-up retreat for our state Councils in Sokoto in November 2016. We expect our organs at both national and state levels are now more prepared to defend the rights of Nigerian workers and the working people more robustly in the New Year. When the Federal government convened an economic revival retreat in March 2016, we were cautiously optimistic that the government has finally listened to the several criticisms about its lack of deft in handling of the economy. We however also noted that if the premise or rationale of government's economic management is along the neo-liberal model, then nothing substantive would come out of it. We are afraid that nine months afterwards, we are not seeing the positive impact of government's plans for the economy. It is common knowledge that in times of economic recession, governments put funds into the economy, building infrastructure and increase social spending to reflate the economy. Not much is being done in this direction to get us out of the economic recession. Government, on the contrary is sticking to its neo-liberal economic management path. The current situation in the energy sector is exactly what we will continue to have when we abdicate responsibility of the state being the driving force for the development of our society. Given our stage of development, our country needs to adopt the path of planning, the path of the state as the engine of development. Government therefore needs to reflect and possibly go back to the drawing board in view of unforeseen challenges in order to deliver on the promise of change! I wish all a very happy New Year.